Sasanarakkha Buddhist Sanctuary is set at the edge of the forest, among secluded hills near Taiping, a small peaceful town in the State of Perak, Malaysia. It is a national project initiated by Venerable Aggacitta, an eminent Malaysian monk. Sasanarakkha is a Pali word meaning “Guardian of the Sasana (Gotama Buddha’s Teaching). This inspired work is a musical offering for the Sasanarakkha Buddhist Sanctuary. It speaks about the beauty of the sanctuary and planting the Dharma seed in our hearts. 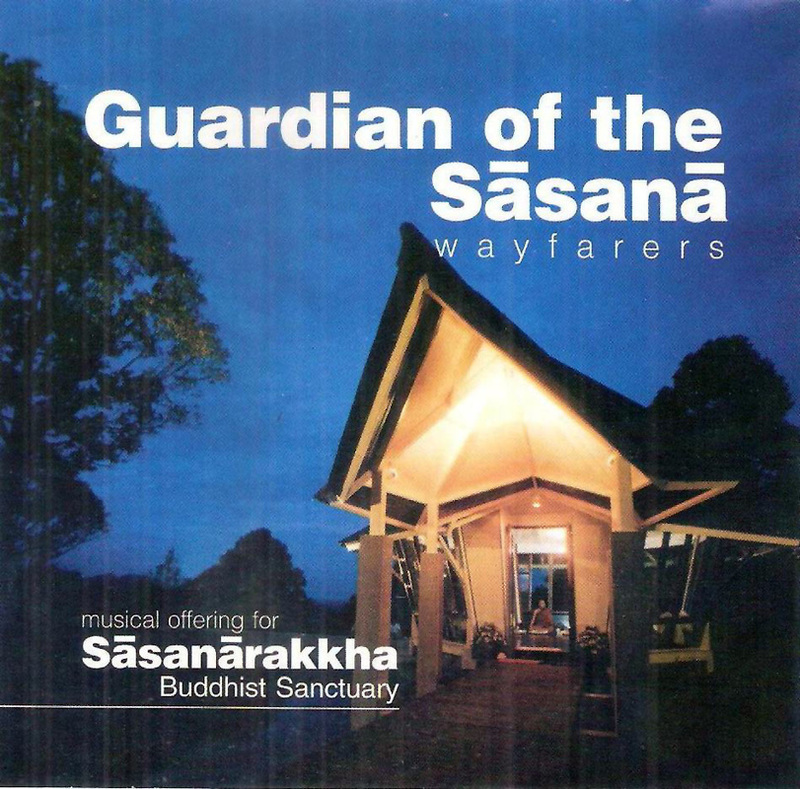 The Wayfarers is a group of Buddhist singers and musicians who express their inspiration in the Dhamma through songs. They consider themselves committed to walk the Buddha’s path or the Middle Way. They think of themselves as “travelers” with the noble intentions to bring about inspiration and spiritual upliftment with their sweet singing voices. Their songs were composed by their leader, Victor Wee, Tan Huat Chye as well as other song writers. They have five albums to their credit, namely, Moments of Inspiration, The Sunrise Comes, Nirvana Sweet Release, A Light in the Darkness, and Sasanarakkha - Guardian of the Sasana. The Wayfarers had a large following in different parts of the country and their albums were distributed to various countries with English speaking Buddhist communities such as Singapore, Australia, India, Sri Lanka, United States of America, and United Kingdom. The Wayfarers had performed in concerts in throughout the country and Singapore.